Please can you tell us a bit about your career path so far? I spent the first 20 years of my career at Abbey National, starting out as a cashier started my career at Abbey National back in 1986. I was keen to progress my career, and within a year I secured the role of mortgage supervisor, from there I went on to run my own Mortgage Department. I was always looking for new opportunities, and within Abbey I ran the New Business Mortgage process, the Mortgage and Personal Loans Contact Centre and the Operation Support Department. Over a 20 year career at Abbey National my highlights included rolling out best practice for contact centres and running the Mortgage Processing for Santander over multiple sites with 250 full time employees. I then got the opportunity to work for Nationwide Building Society as a senior manager, and I liked the ethos of putting the customer at the heart of everything. Due to wanting to spend more time with the family, I moved closer to home as Head of Customer Services for a Car Finance Company. In this role I helped to set up their first Customer Service Department and telephony system, which resulted in significant improvements to customer experience. I was then approached by Your Move to run the Lettings Operation in Southampton. 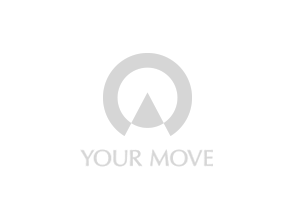 In this role I currently oversee 125 full time employees which supports the Your Move Lettings teams, their landlords and tenants across the country. This is a challenging but a rewarding role. I am really proud of my qualifications, having moved to Britain when I was 10 years old, and unable to speak a word of English. I have a range of qualifications from A Levels, to Project Management, Diploma in Management Studies and more recently my Level 3 Technical Award in Residential and Lettings, as well as Basic Counselling Skills Certificate. Why did you choose to go in the property industry? Although my background is mainly financial services, I have always enjoyed helping people buy their own homes, and now I help tenants to have a property to rent. I love the drive and challenge this role offers, and I feel that I can add value with my operational management, customer experience and people management skills. Customer Service is vital in any industry and I enjoy making a difference to customers and colleagues. Do you think that there are enough women in the property industry? I don’t think there are enough women in the property industry and particularly Asian women. I have found that during my career I didn’t have any role models, therefore I had to draw on my own inspiration and desire to do well for myself, with a very supportive family network. What skills do you think women can bring to estate and lettings agency industry? Women bring a different perspective in the workplace; they tend to have better communication skills and a more pragmatic approach to problem solving. I think women are good listeners, can multitask and are resilient. They understand property issues and as a result are able to provide solutions to customer issues. Is it important for women to have role models in business? If so, who are your role models? I think it is good to have role models as they can inspire you, you can learn from their experiences, and use them as your mentors. I have been inspired by my immediate family who have supported and encouraged me. My mum always used to say to me “work hard, dream big, learn from your mistakes and always put your family first”. I have lived by this advice and also learnt from the best in business. I am always looking to senior managers and have taken on advice and feedback. As I have progressed in my career, I realised that there are so many important skills to good leadership and these include, doing your job well, leading by example, listening, always open to learning and remembering your people are your best asset. In Nationwide, one of the Customer Experience Directors Rudolf Heaf told me, he was inspired by my leadership. I think being a mum to two boys and multi-tasking over the years has meant that planning and delivering projects is a natural skill. What are your hopes for women in business in the future? I want to see more women at board level and be respected for the contribution they make to business and society. The remuneration package should be aligned and women should be treated as equals. This is particularly important for women in all cultures. I would love to see more Asian women being at the forefront of business and hopefully I can inspire women to do well in a career in property.